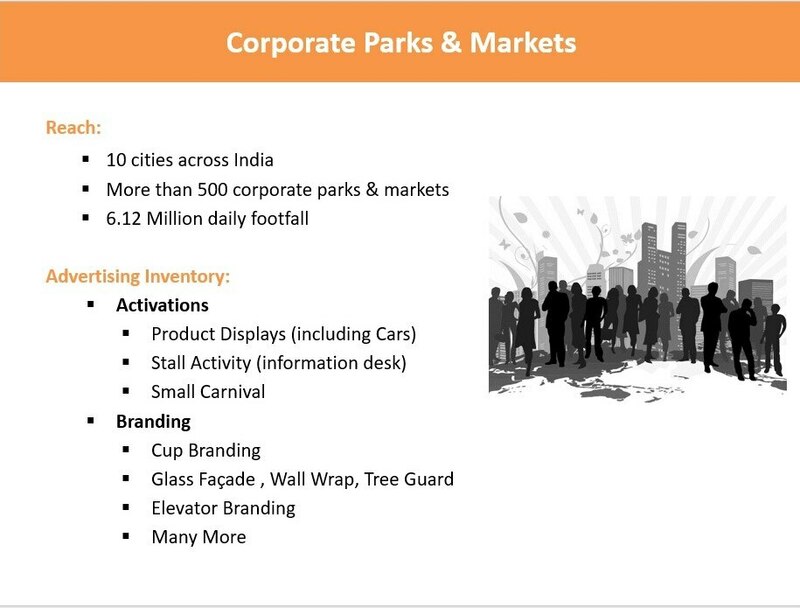 Corporate Parks are one of those places where you get the most educated crowd. People who work in these places are the ones who understand need of the products, their benefits and most the time they are decision maker. We do corporate parks activation from booking to execution.